Make business decisions on your SAP My Inbox without being tied to your desk! With SAP Cloud Platform Mobile Services and the SAP Mobile Card kit, we have made it even easier to take your SAP My Inbox mobile. 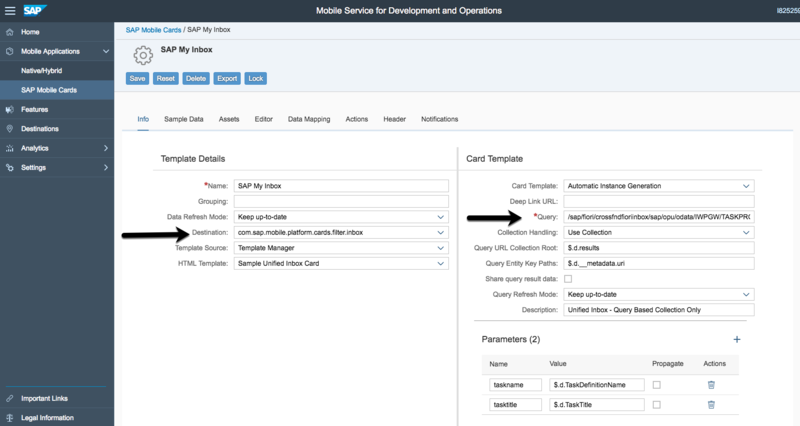 In this post I’m going to demonstrate how to connect your SAP Mobile Cards app to your SAP Fiori Cloud Inbox or your SAP S/4HANA Cloud Inbox. Description: Employees can easily access SAP My Inbox workflows from their mobile devices using SAP Mobile Cards. 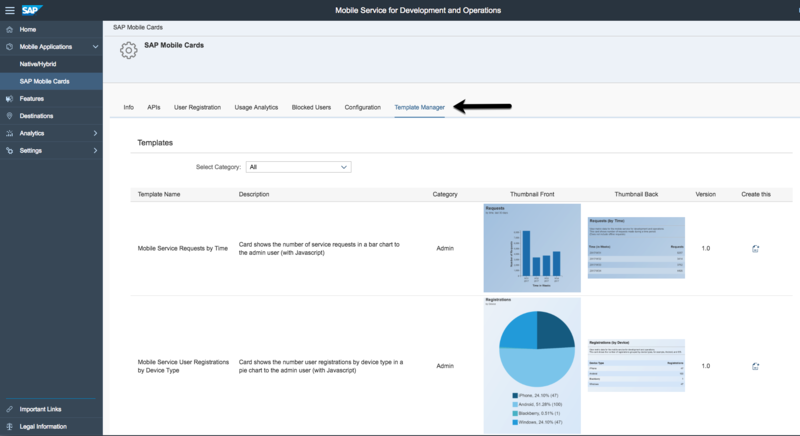 You have SAP Cloud Platform service for Development and Operations enabled and have access to the console. Determine the location of the SAP My Inbox OData service for your organization. 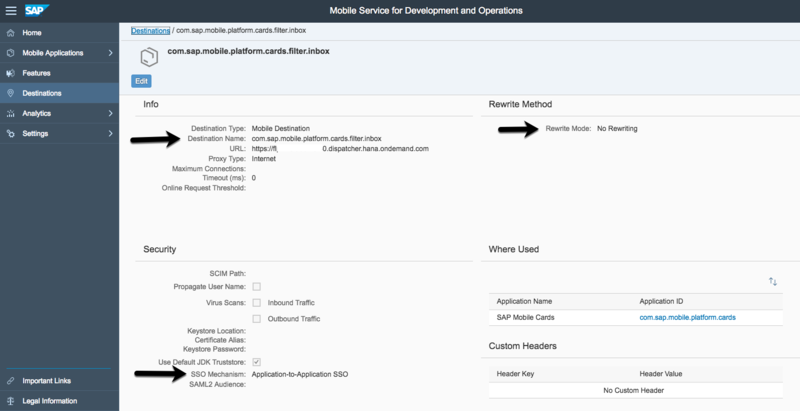 Create an SAP Cloud Platform Mobile Services ‘Destination’ that points to this OData service location. Use our Template Manager wizard to create an Inbox card pointing to this new destination. Save and then subscribe to the Inbox from within the SAP Mobile Cards app. The reason for the name above is that SAP Inbox items can have a varying number of workflow actions from approve/reject or confirm/deny etc. By using this destination name we help by automatically accommodating for a number of these workflow scenarios. Upon completion of the destination wizard you will be taken to a screen like the one below and you can verify it is setup the same. Then, go into SAP Mobile Cards on the left-hand side menu. On the right hand side you will see Assigned Features. Click Connectivity within Assigned Features and then ‘add’ this new destination we just created named com.sap.mobile.platform.cards.filter.inbox. This will make the new destination available to the SAP Mobile Cards system. Next, click on SAP Mobile cards on the left-hand side bar menu (underneath Mobile Applications). Click on Template Manager. Scroll down to find the template named “Sample Unified Inbox Card” and click the Create A New Card icon/button on the right. This will launch you into our wizard. * The sample query has an extra Filter defined so that we return only RESERVED inbox items. Your own use case will determine what cards to return to SAP Mobile Cards app. To return all inbox items, remove the filter altogether. To restrict to say High priority, you need to adjust the filter accordingly. Click Save and choose whether you want to save as a locked card (not editable until you select to unlock). Last, open the SAP Mobile Cards app on your mobile device and subscribe to this card. Subscribing to a card can be accomplished by clicking the + icon and go to All. Find your SAP My Inbox card and click subscribe and you should see card(s) start to come into the preview. Last, go back into the deck view of SAP Mobile Cards app by clicking the Subscriptions > Done. Now you should see your SAP My Inbox cards within your SAP Mobile Cards app. Thanks for this tutorial. This is exactly what I’m currently looking for. However, I’m missing one information. What is URL I need to set when creating the destination? I currently don’t see where I can find this information. I was checking http://api.sap.com already. However, the Fiori Inbox oData services are not listed there. The URL is going to be dependent on the location of your particular odata inbox server. One way of determining that URL is to open the Inbox in a Chrome browser > load the Chrome > More Tools > Developer Tools. Click on an Inbox item and then watch the Developer Tools > Network tab look for a $batch and you should find the URL of your odata service there. thanks for the reply. That is exactly what I did in the end. Hi Matt Carrier can you please confirm you have had this working on the Apple Watch according to this statement -> Supports iOS, Apple Watch, & Android. I have seen Apple Watch images on presentations covering SAP Mobile Cards however it is obviously talking about future functionality – I suspect. I am currently implementing Mobile cards for a client and I’ve been asked whether this is possible on the Apple Watch and looking at the documentation it states it is only valid for the iPhone. Understand it is also valid for Android but can you please confirm it is in fact valid for the Apple Watch. If it is not then I think this blog needs to be adjusted just so that client expectations are managed. Hello Phil, Sorry for the delay here. 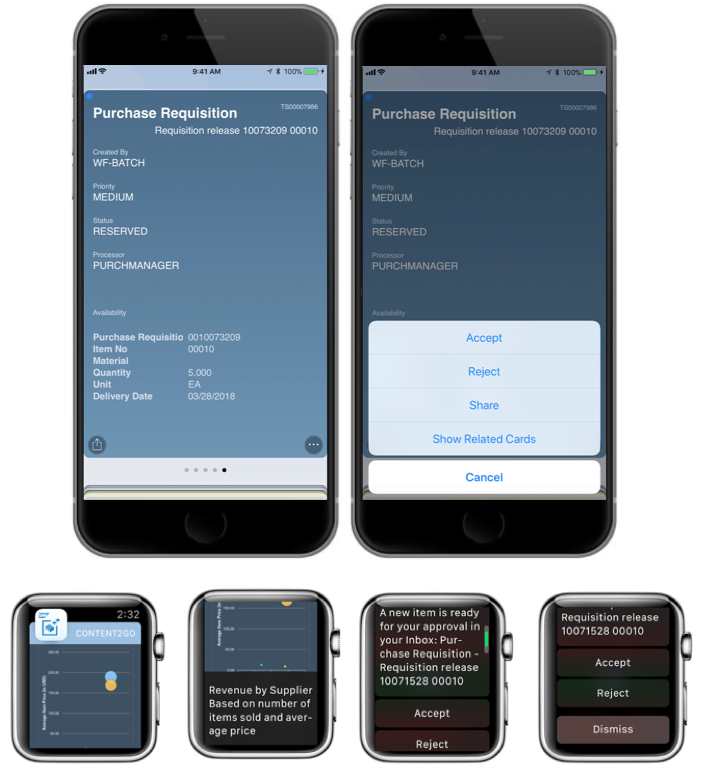 The support for Apple Watch is as following: On the Apple Watch you can see SAP Mobile Card notifications and if an SAP Mobile Card has an action (for example > approve or reject) you can perform that action from the notification. There is not a client for Apple Watch or you can browse your entire deck of cards from the Apple Watch. Thanks for pointing this out and i’ll update the blog to more accurately describe the functionality. Thanks Matt Carrier for the reply and yeah matches my experiences at the moment except that I am not receiving any notifications even when I receive new mobile cards to approve. My experience is that nothing is interacting with the Apple Watch. I’ve checked all settings and they look ok, in terms of receiving notifications from Mobile Cards, only thing is that the notification does not carry through to the Apple Watch and come to think of it even the app itself on the iPhone does not notify me. I can see the Badge number has increased though so it is working and the new cards came through to my list. I’ve logged an incident about this so hopefully it gets look at as part of this. Thanks for responding anyway and yeah an update to this blog would be good – just to manage expectations. You say, you don’t see the notifications not even on the iPhone? Can you please confirm you are getting notifications on the iPhone? As iPhone notifications are simply mirrored to the watch. I assume you have enabled the Notifications from Settings app. You also need to make sure that notification is turned on from within Watch app. Additionally, iPhone needs to be locked to see the notifications on the watch. Btw, there is another way to receive notifications on the watch. You can sent a reminder from back of a mobile card. That would generate a notification when reminder expires and that would be mirrored to watch as well.